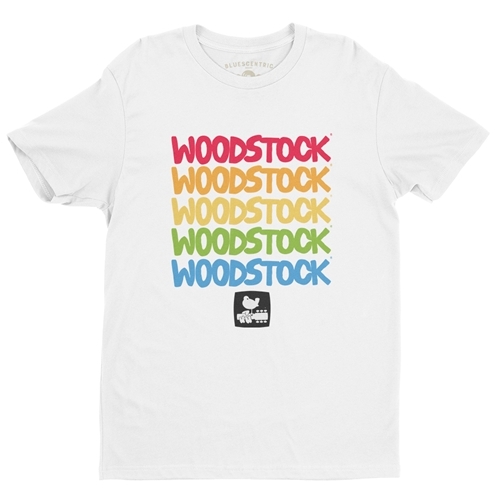 This groovy authentic Woodstock t-shirt features a rainbow of the official Woodstock colors, plus the bird and guitar official Woodstock logo! 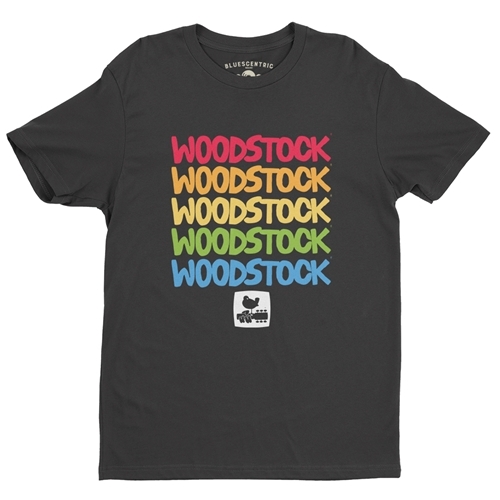 This vintage Woodstock t-shirt is available in premium lightweight 4.2oz vintage style sizes up to 4XL. Solid colors are 100% combed, ringspun cotton. Athletic Heather is 90% cotton. All other Heather colors are 52% cotton, 48% poly. Sizes run true. These t shirts are lighter and slightly more fitted compared to the Classic Gildan tees.